We have all had that moment when we are driving around town and we glance at our dashboard where all of a sudden a light has popped up. I mean we know what most of the lights mean, there’s that engine light, the gas light, oil light, and like the headlights but what does the ABS light on the dashboard mean? Do you know what ABS means? What does ABS even mean? ABS stands for anti-lock Brake System. This brake system helps you have control during emergency stops. Now there’s another question, what does that mean? I mean we know what brake system means but anti-lock? Aren’t brakes supposed to lock? Is this a bad thing? Well anti-lock also means anti-skid which means that when you start to slow down you are allowed to turn the wheel some and avoid objects in front of you like a goose or duck that won’t get out of the road. If your ABS isn’t working then you will just hit whatever is in front of you. When your foot presses down on the brake pedal, the ABS engages. You might feel pulsing under your toes, while the brake pedal sinks further into the floor. All of this is normal. ABS is actually used to keep your tires from locking and just skidding across a wet patch or ice. 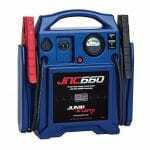 It is an important feature on your car and you should be cautious of when it is working or when it is not working. Here is a video of what ABS is. Where is this ABS light located? 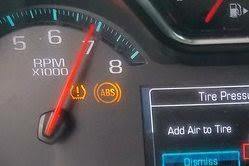 Depending on your make and model of your vehicle, the ABS light is located in the middle of your dashboard. Clearly labeled ABS. The lights are usually an orange-yellow color and will most likely drive you a little crazy when you look at your speedometer or the gas gauge. The ABS light came on but then shut off, what do I do? Nothing. Your car is fine. Most of the lights on your dashboard will come on for a second when you start the car but if it goes away then everything is fine. If it stays on however, that is another problem. The ABS light hasn’t shut off in days, is this a problem? Short answer: yes, go get your car looked at. Any automotive expert will tell you to go get your car looked at if it is having brake issues. But here is the long answer that you are actually looking for. If you do not go get this problem looked at you are putting your life at risk. When ABS stops working, it stops pumping your brakes for you so when you hit an icy patch or try to brake quickly, your car is not going to stop like you want it to. You will most likely continue moving forward until slamming into whatever you were braking for and trying not to hit. This also means your wheels are going to be damaged in this process and ultimately will end up costing you more money instead of you going and getting the problem fixed right when you saw the light come on. If you watched the previously linked videos, you know how the car skids into objects whether it is just cones, or a pile of large rocks. Is there a chance that my ABS light is just glitching on my dashboard? There is an off chance that your car is dirty in places you can’t see but it is disturbing your speed sensor which is what monitors whether or not your ABS is functioning properly. If you don’t want to waste money on an automotive place just cleaning your car for you then be sure to wash under the actual wheel. This means jacking up your car, removing your wheel, locating the speed sensors and then cleaning all the gunk off of them. It will ultimately save you time and money if this is the only real reason your ABS light has come on. Not to mention is just a good idea to do a routine deep clean of your car to keep it running like it is brand new. Is it safe to drive when the ABS light comes on? The anti-lock braking system helps the tires on your vehicle stick to the road when you are braking, as opposed to jumping off the road. It does this by stopping the wheels from locking up. This can result in uncontrollably skidding which makes everyone nervous. As confident as you may be behind the wheel, no one is prepared for uncontrollable skidding, even if you are professional driver. ABS main purpose is to improve control when braking on loose or slick surfaces. It doesn’t necessarily decrease the distance in which you are going to travel, but it will help you not slam into/through things. Your anti-lock brake system does a self-test every time you turn on the ignition which is why if you have your foot on the brake when you start the car, your foot will sink a little further. When you start your vehicle, the light will flash for just a second, and if it comes across a problem, the light will stay on. Just know that the flash at the beginning, or even right after, is just the system doing a self check. If the light comes on while you are driving, it is because the system has found a problem or something has bumped the system causing it to be under stress. The good news is that your brakes still work, but the ABS is most likely not going to engage if you unexpectedly slam on the brakes. If the light stays on for longer than a few minutes, you need to have a mechanic check your vehicle as soon as possible. Since the ABS is an in case of emergency precaution, it is an important feature to maintain – you never know when you are going to be in an accident. If you slam on your brakes, the ABS will create a pulsating sensation under your foot so the wheels do not lock up. When you feel http://quotecorner.com/tramadol.html this pulsating, be sure to keep your foot on your pedal and allow the system to do it’s job. Your focus should be on controlling the steering wheel and not hitting anyone/anything/avoiding the object in front of you. Driving with the ABS Light on is not a good idea because it means your ABS is not working properly. However, that does not mean you can’t do it. Your car is still functioning properly other than the brake lock. Because the ABS is not functioning properly, your vehicle may not be able to handle and maneuver like it is designed to when you slam your foot down on the brakes. Valerie Johnson from Your Mechanic has informed us that if you have the grave misfortune of both your ABS Light and brake system light coming on, than in this case it is an emergency and you NEED to stop driving immediately. You are putting yourself and other people on the road in danger. Who came up with this system? In 1908, a man named J.E. Francis introduced the idea of an anti-slip regulator for rail vehicles, meaning trolleys and trains. This invention was the gateway to saving lives for many different vehicles. In 1920, a french automotive and aircraft professional by the name of Gabriel Voisin created a flywheel which is basically the first ABS but in 1928 a German man patent the official ABS. But the German didn’t have any luck in actually getting it to work. The 1950s came around and by the early 1960s we had a fully working and functioning ABS from Dunlop Maxaret. This means that the system was properly tested and lived up to the standards that had been set in place. The newly invented ABS from the 1990s is the current standard for all cars. It was tested on a Lincoln in 1993. How does the ABS work – the science behind it? The anti-lock braking system uses sensors to figure out if one or more of your vehicle’s wheels are trying to lock up. If a wheel begins to lock up, there are a series of hydraulic valves that will limit the braking on that particular wheel. Speed sensors are what sends the signal to the ABS that the wheels aren’t moving enough while stopping. They are what provides the information. The anti-lock braking system needs a way of being able to tell when a wheel is about to lock up. These speed sensors are located on every wheel, or in some cases in the differential. The valve is open; pressure from the master cylinder is passed right through to the brake. This means the brakes haven’t been applied and your foot is off the brakes. The valve is closed; singling out that brake from the master cylinder. This means that no matter how hard you slam your foot down on the brake, you will not brake any faster than you are already braking. The valve releases some pressure from the brake. This is what causes the pulsing sensation that you feel under your foot. So the valve releases the differing amounts of pressure from the brakes, there needs to be a way to push all that pressure back to where it belongs. Equal and opposite forces, right? This is exactly what the pump does; when a valve lets pressure go down the line, the pump is waiting to push the pressure back up. This is your Siri, your Jarvis, the car’s computer that observes what the speed sensors, valves, pumps, cylinders are all doing and making sure everything runs smoothly. You now know that Americans did it first, not the Germans. The Lincoln was the first car to have the ABS, that we currently use, successfully tested on in the 90s. We know that there are four important parts to the ABS working and that each part works with the other as a team. The controller is obviously the leader, it’s in the name. There are speed sensors that are watching your wheels for you, pressure valves and pumps that are making sure all the air and pressure is in the correct places as well. Remember that if your ABS light just flashes on your dashboard briefly it means that the controller is just doing a quick check for your safety. Think of the controller as your own personal bodyguard that is making sure your wheels haven’t been tampered with since the last time you drove your vehicle. A quick turn on of the light does not mean there is a problem, but if it stays on you should probably go get your vehicle looked at. It is safe to drive when the light is on, but get off the road is the ABS light is on and the brake system light is on. It means your brakes really aren’t working and your ship is going down, metaphorically speaking. In cases of severe emergency where your tires begin to skid, ease off of the brakes and manually pump the brakes in order to potentially slow down without skidding. But that is NOT recommended, it is best just to go get your vehicle looked at. So the ABS light is important and is definitely related to your safety but isn’t necessarily life or death. But, it also isn’t something you should wait around to fix until it’s too late. Attend to the ABS light ASAP because you never know when you might need it. Be sure to drive safe and continue learning about your vehicle.